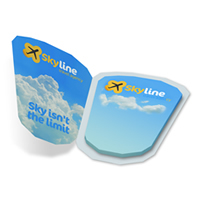 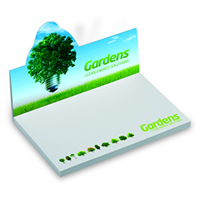 Printed sticky notes in paperback covers give this popular promotional product a more prestigious appearance, whilst also protecting the notepad sheets in daily use. 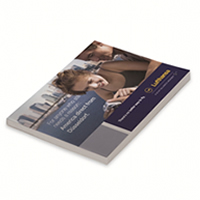 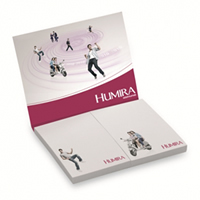 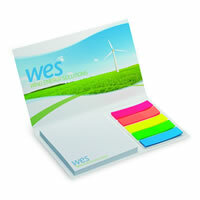 Whilst in communication terms, the cover provides an extended area for advertising or promotional content, in addition to the customised notepad sheets. 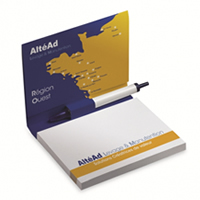 What’s more, the paperback cover and notepad can be shaped for added impact, be used to provide a dispenser for index flags, to create a pop-up display, or carry a pen – that most obvious of partners for a notepad.